Running in San Juan, Puerto Rico. 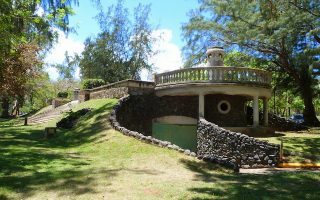 Best routes and places to run in San Juan. 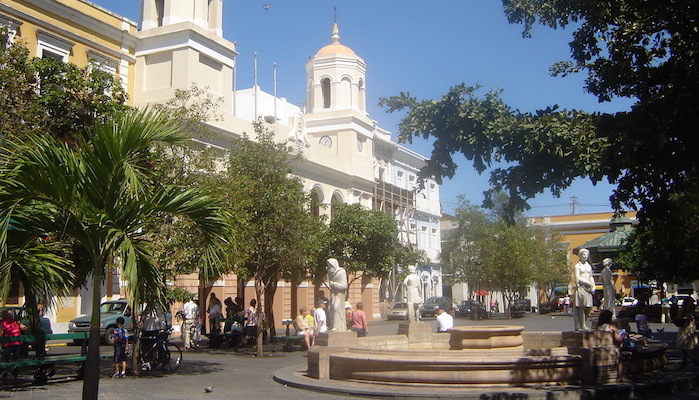 San Juan is the the capital of Puerto Rico and the main population center of the unincorporated island territory of the United States. The city is a thriving historic and cultural center, rich with colonial Spanish architecture and gorgeous palm-lined beaches. 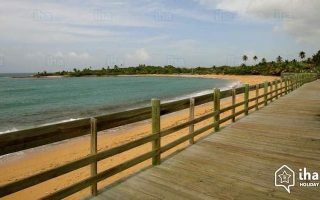 There is some wonderful running in San Juan, with several waterfront paths leading to historic sites, some great parks, and some small but pretty beaches. We’ve also a guide to the best places to run on other parts of the island of Puerto Rico. 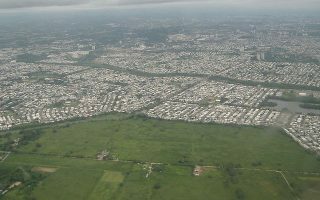 The central part of San Juan is compact. A run around the narrow streets of the 2.5 mile island of Old San Juan is best done at uncrowded times. 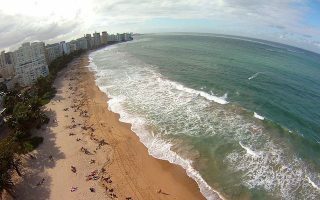 The best runs in San Juan are along the historic Passeo del Morro out to the Fort, some wonderful waterfront park and path running along Ashford Ave. and over the causeway to the Condado Peninsula, and the 6+ mile linear path and beaches around Isla Verde. Several of our routes can be combined into some longer runs. Public transportation in San Juan consists of a public bus system, which is extensive and basically reliable. The train system is faster, though offers less coverage. If you are traveling primarily around Old San Juan, the hop on hop off trolley can come in handy. Note: Puerto Rico suffered a series of devastating hurricanes in the fall of 2017. Many areas of the island are still rebuilding, and some routes may be affected. One of the best runs in San Juan. Follow the Passeo del Morro, beautiful seaside promenade, out to the Fort and a National Historic Site. Do a little tour there, and then enjoy some of the narrow streets of Old San Juan. 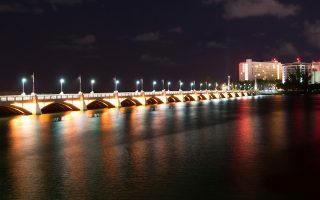 The area around the Condado Peninsula, where Ashford Ave. connects Old San Juan with the remainder of the city via a gorgeous bridge, is a treat for running. Short option out to fort and back, longer option is lagoon loop. A public adjacent to the Puerto Rico Supreme Court, features a variety of walkways where you can piece together~2 miles of off-street running. 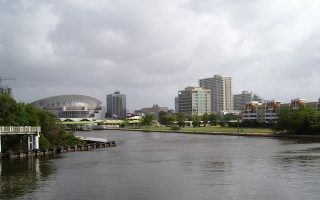 Combine with Ashford Avenue run to Condado, and the lagoon loop for a 5-6 miler. If you’re located closer on the east side of the bay, you can run along the 2.2 mile path following the Martin Pena canal to the Parque Central del San Juan. A pleasant run along two parks, with good water views. The six mile paved/wooden bike route of the Tablado de Piñones boardwalk is one of your best chances for a long distance run uninterrupted by cars. The best beach for a run in San Juan. Just east of Punta el Medio, it goes for 0.7 miles. Combine with the Tablado de Piñones path and linear park, for a longer run. For beach running in close proximity to downtown and the airport, Último Trolley is a great choice. Nearby Parque Barbosa also has paved paths and a track. East of San Juan, this linear park in Carolina offers a nice running track and pretty green paths stretching along the canal to the Children’s Museum. 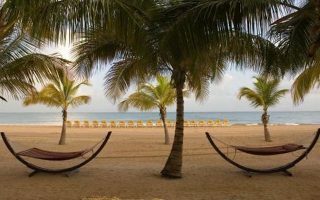 Wonderful and reliable tropical weather is among the star attractions of San Juan. Temperatures are fairly consistent throughout the year, in the low to high 80s (27-31C) during the day, with warm to sultry nights. It can rain during any time of year, but there is a more distinct dry season in winter. Tropical systems can affect the island during June-October. 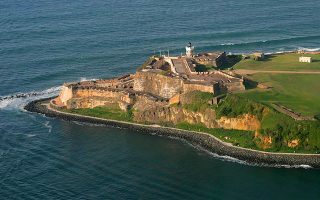 SanJuanPuertoRico.com has lots of helpful tourism advice, including where to stay. If you stay in the central part of San Juan or Old San Juan, you’ll be in reasonable proximity to some of the best routes. Time to Run, En la Meta, and Fit2Run are the most popular independent running stores. They can also help out with routes and group run info. Find any of the many races in San Juan on ahotu Marathons.